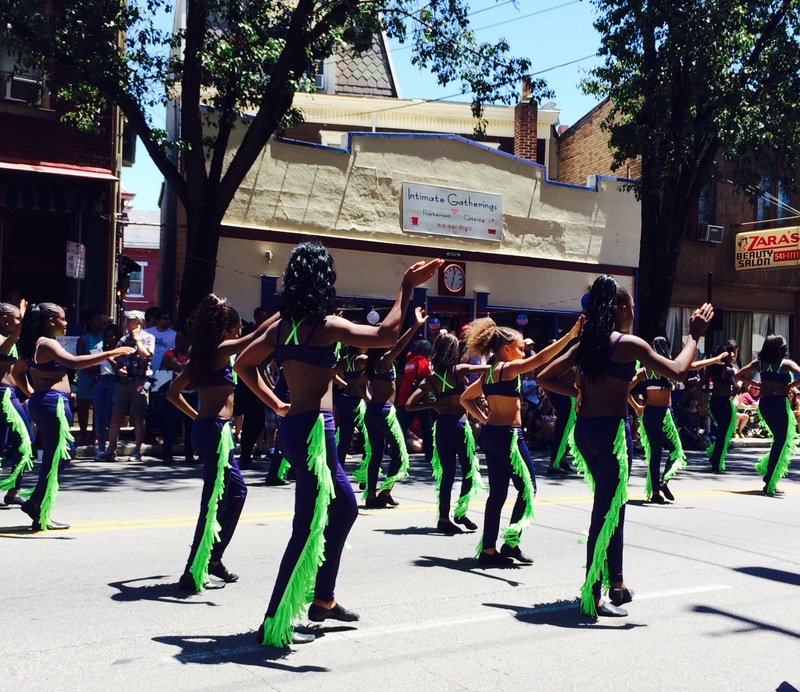 Northside Parade – Go There. Try That. This is kind of a spur of the moment post celebrating the Northside Parade Saturday, July 4th at noon. 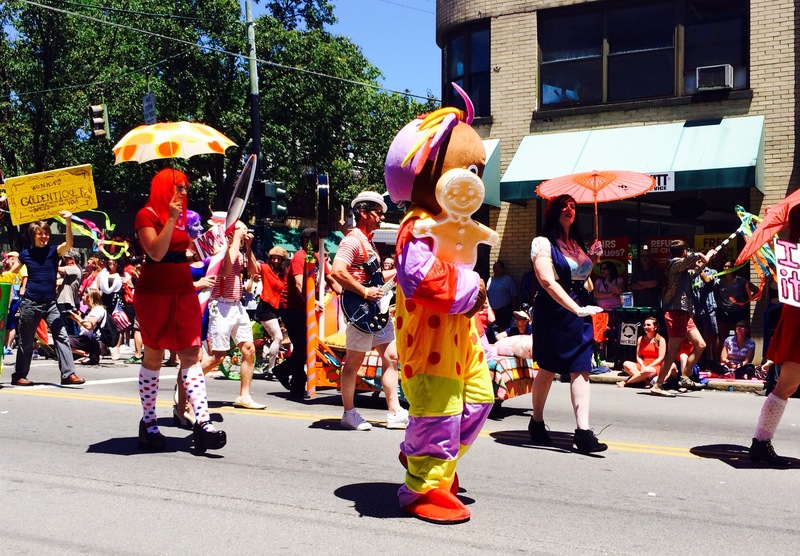 If you are not already committed to a 4th of July parade, and you’re a Cincinnatian, let me just tell you why this non-parade girl gets giddy about this particular parade. 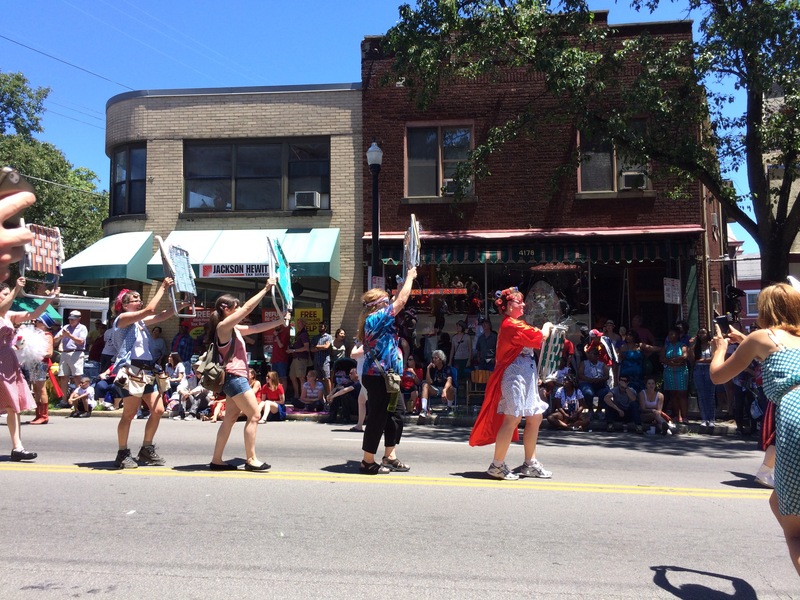 The Northside parade is not your grandma’s parade (OK, maybe not what I remember of my grandma anyway)! This is a saucy, eclectic, politically incorrect, carnival of sorts. This is the only parade I’ve attended that moves from the Lollipop Guild (comprised of grown-ups) to a group advertising co-op farming to drag queen races to the band/dance team (from the local high school) to grandmas dancing with lawn chairs to a troop of boy scouts. 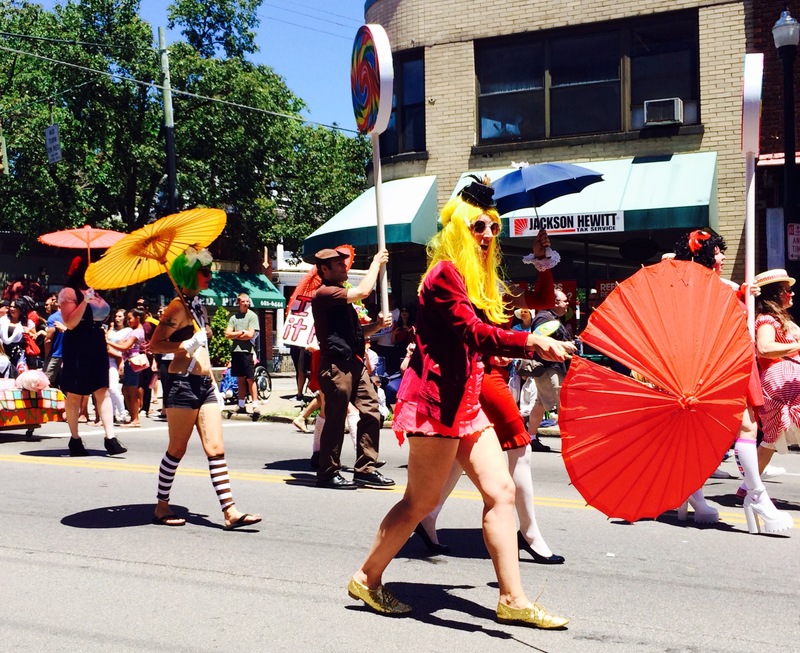 This parade is nothing if not creative, diverse, and eccentric. The only downside, like every parade, there are tons of politicians running for office trying to win your vote; at least at Northside, many of them feel pressure to be clever about it. If you plan on attending, the parade starts at noon; be sure to arrive early to claim a spot. Rain or shine- we’ve learned the importance of arriving with plenty of time to spare!! We are faithful attenders; in fact, this will be our 5th year and we don’t even live on the Northside. We just completely love the vibe and the people. Bring lawn chairs, sunscreen, a cooler, and possibly a raincoat if the weather is being troublesome. If you sit close to the main strip on Hamilton, grab a coffee from Sidewinder or some tacos from Tacocracy! 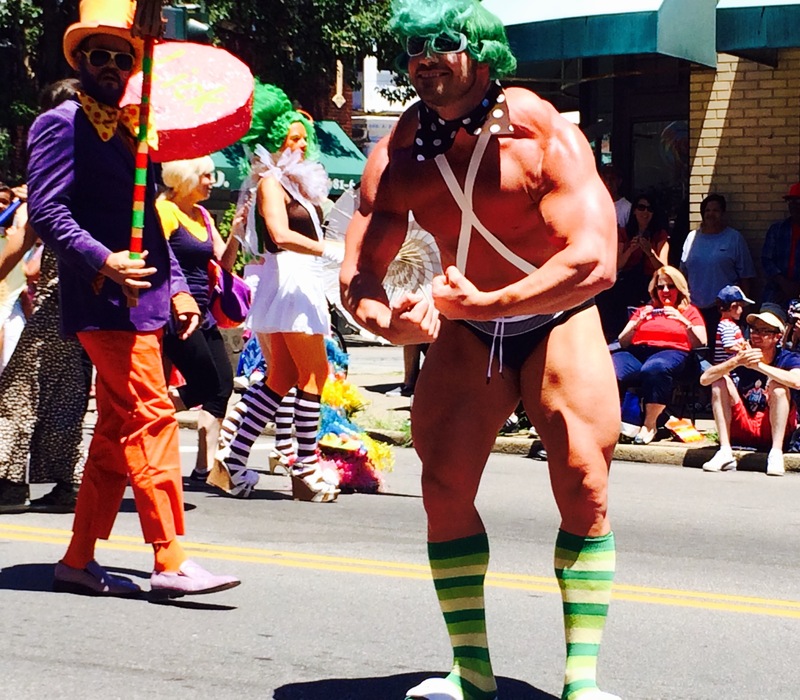 Trust me when I say you’ll never think of a parade the same way again! 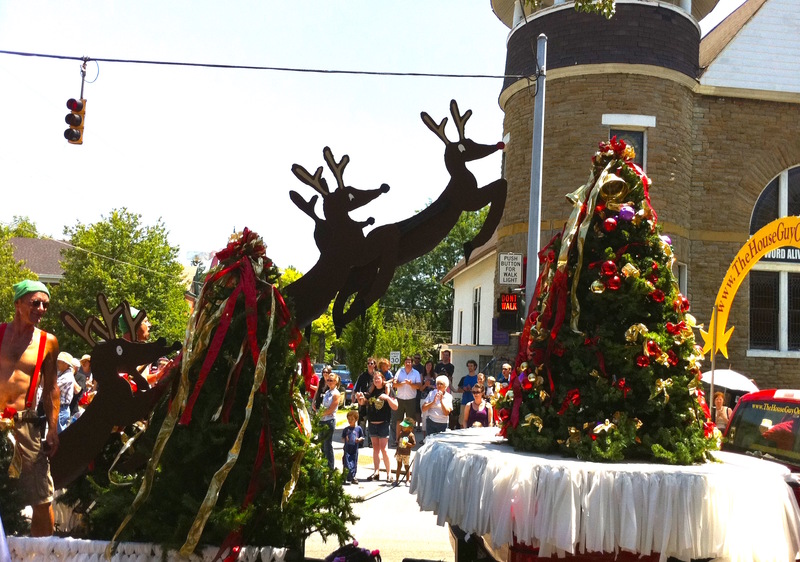 Disclaimer: this parade rarely starts on time; we just roll with it! 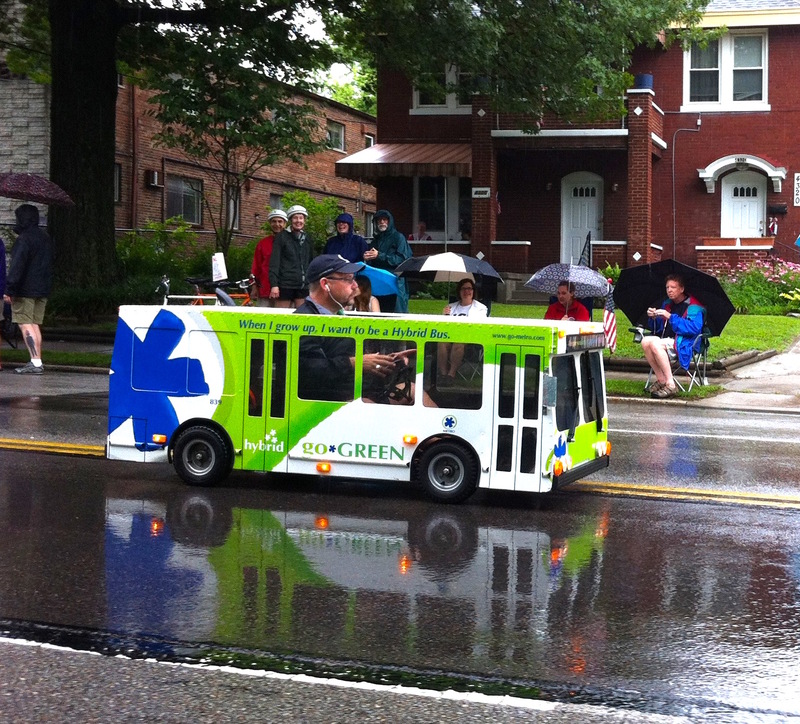 GO THERE (Northside Parade)! TRY THAT (experience a new kind of parade)! Has it been 5 years?! Wow!! always so much fun!